Leaving Galapagos on August 5 was a cause for me to celebrate. Not because I wanted to leave, but because it was my birthday. I celebrated it that morning in San Cristobal Island of the Galapagos Archipelago and that evening in Quito, the capital of Ecuador. We returned to the same Hilton Colon Quito hotel that had served us so well upon our arrival in Ecuador on July 27. But Quito was different this time. We had a sunny day so rare that as our plane landed we could see the snow-covered volcanos around the city. When we got to the hotel this time, it served me even better than before. This time the hotel’s 19-story building served as an observation post for me to photograph the scene. I found an unlocked door to the roof, where I had an unobstructed 360-degree view. The Cayambe volcano is about 40 miles northeast of Quito, and at about 19,000 feet it is the third highest mountain in Ecuador. At 15,387 feet on its south slope it is the highest point in the world that the equator crosses and the only point on the equator with snow cover. Getting to Ecuador takes time when you live in Colorado. I left my Boulder apartment at 4 a.m. on July 27 in order to get to Ecuador’s capital city, Quito, by midnight. I had a long layover in Miami, but the trip went without a hitch, and at the Quito airport I met the five of the seven other people on our tour of the Galapagos Islands. On the tour bus ride from the airport to the hotel the first person I talked with turned out to be a retired professor of medicine who specialized in diabetes at the University of Rochester, Dr. John (Jack) Gerich. When he mentioned Rochester, something clicked in my mind, and I remembered that 13 years ago I had interviewed him by phone for an article I wrote about the development of what became the biggest selling insulin. Jack was traveling his partner, Carol, and their friends, Art and Joanna McMorris. Art is the birder in that group. After retiring from medical research, he is now the Peregrine Falcon coordinator working for the Pennsylvania Game Commission. All four of them have doctor’s degrees. One of them said that three of them have Ph.D.’s while Jack “only has an M.D.” degree. When we got to the hotel, I met Sarah, who came from Ohio for her first trip out the the country. She turned 18 two days later. Sarah and I were the only members of the group who didn’t come from Pennsylvania, but she is a much more knowledgeable birder than I am. There was also where I met Keith, who was to be my most congenial roommate in the hotel and later on the yacht. He is a school teacher who has known the tour leader for years. The tour leader, Kevin Loughlin, greeted us at the hotel, the Hilton Colon Quito, perhaps the best hotel in the city. Kevin is the president of Wildside Nature Tours. I went on his company’s tour of Belize last November. That was such a great tour that I chose to take his tour to the Galapagos. Kevin is both an accomplished and experienced photographer and birder. I was delighted with the members of the tour group and the fact that we numbered only eight. To travel around the Galapagos will we have four of the yacht’s cabins. 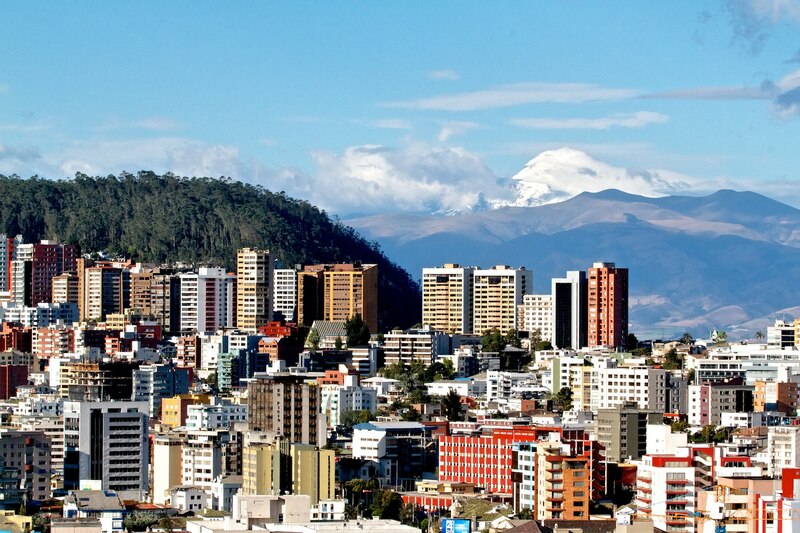 We toured Quito and the surrounding area the next day rather than rushing off to the islands. 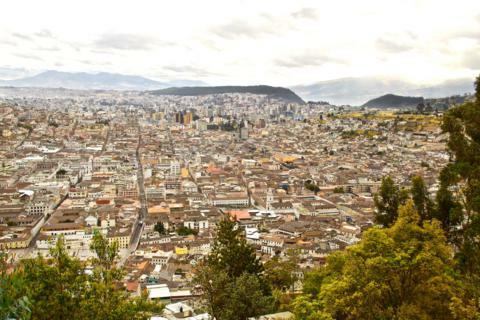 Quito sits at 9,350 feet, the highest capital city in the world housing administrative, legislative, and judicial functions. 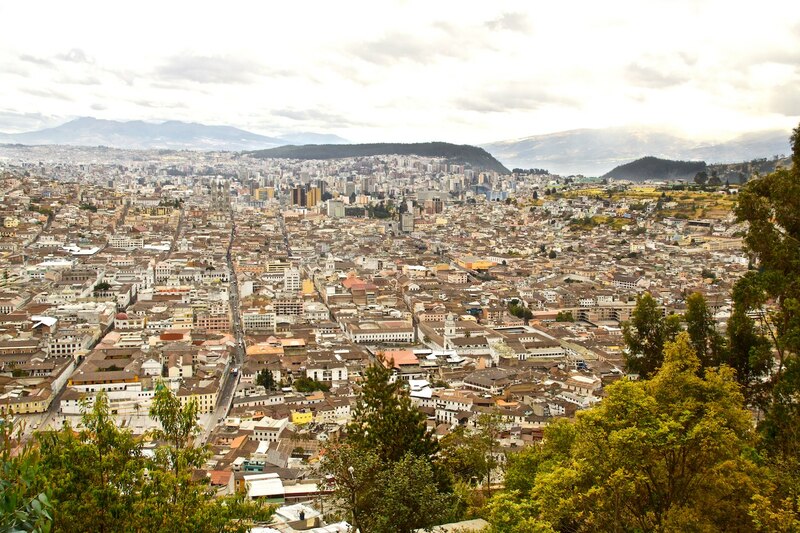 It is more than 1,000 years old, but in 1534 the Spanish invaders re-founded the city after the Inca commander razed Quito just before the Spanish conquest. About 2.5 million people now live in this city, which manages to preserve its history and yet be modern.